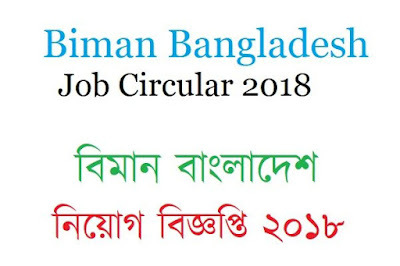 Looking for Biman Bangladesh Job Circular 2018? Then, you are in the right place. On fast result bd, all can see new jobs news. 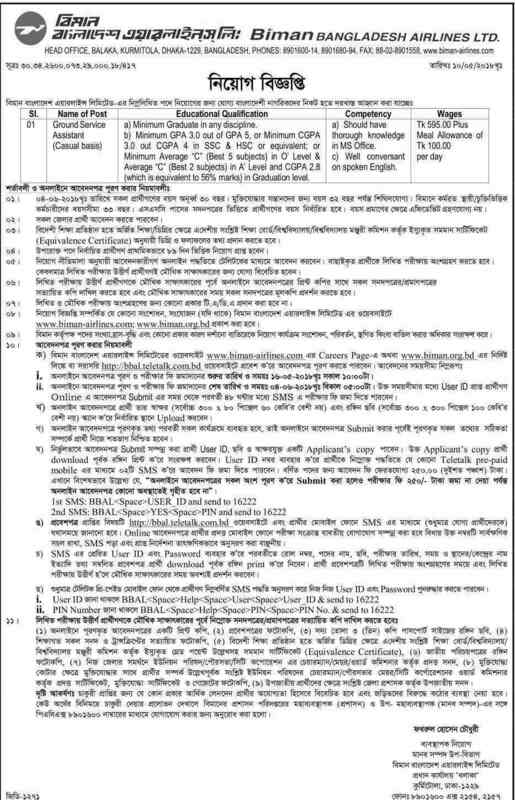 Biman Bangladesh recently published a jobs notice on their site. The application process will start from 16 may 2018. The post name is Ground Service assistant. Educational requirement is minimum graduation from any discipline. And your age must be within 35- 45 Years as of 20-05-2018. Organization Name: Biman Bangladesh Airlines. Post Name: Ground Service Assistant. Circular Published Date: 12 May 2018. Application Last Date: 20 May And 04 June 2018. Total Post: See The Advertisement Below. Want to know how to apply for this job? Go to this site http://bbal.teletalk.com.bd and apply. You can download the advertisement from their website or can download from our site. To see all new job circular, govt job circular, bank job circular, company job circular, and part-time jobs in Dhaka, please visit our site regularly. And you can also join our facebook page from here. If you like this post, please share this job news with your friends. You can also comment below about this post.